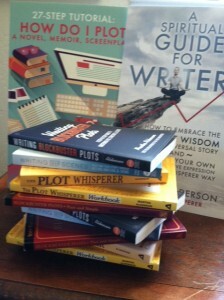 Ready to write a novel, memoir, screenplay? Hit a tough patch in the creation of your story? Don’t put the manuscript aside. 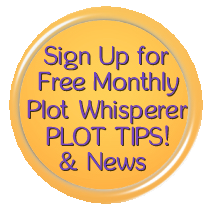 Want a final plot check before sending your story out? Hone in on the thematic significance at the core of your story. finish your story with a plot from beginning to end. “To see things in the seed, that is genius”, said Lao-tzu, Chinese philosopher. I often feel that the ability to see the mighty oak in the acorn is what is required and best serves me as a plot consultant — the capacity to spot the positive inherent potential in stories, those aspects already present and those waiting to be discovered, and expose what is valuable and positive in both the story and in you. Using the structure of the Universal Story and a keen ear for what’s working and what’s not, I give guidance how to make your story work, bring out the qualities that may be missing, reframe confusing, weak and convoluted scene arrangements and character inconsistencies, envision how the positive aspects can be used to create a more dynamic story design and strengthen the elements that make each individual story whole. Rather than focus on what is not working, I use a positive inquiry approach, concentrating on how to help you bring your vision to life. My goal is to effect positive change in your story and inspire you to give the very best you have to offer. Are you an action-driven writers? You may need help integrating character emotion in your stories. A character-driven writer? You likely may need help creating page-turning action filled with conflict. All writers are encouraged to probe for the thematic significance of your story and are given tips and techniques how to use theme effectively. During Plot Consultations, the focus is on the primary plot which is made up of the action, character and thematic plot lines and overall design of your work. For that reason, I do not need to see your writing. and a sense of your story themes (upon payment, you’ll receive specific guidance how to prepare for our time together). For more in-depth work, additional consultations may be helpful. When payment is made, you receive an email with available consultation dates and the link to a secret page on the website with all the details needed for a successful plot consultation. The cost of a TWO-HOUR PLOT CONSULTATION is $350.00. For an addition $300.00, you receive notes from the Plot Consultation with tips and comments sent to you via email, usually the next morning. The two hours are divided over two weeks or more, depending on your specific needs. This gives you time to integrate what we discuss in the first hour. In the second hour, as we continue plotting, I am able to clarify any confusion that may have arisen. Once the action plotline is firmly in place, you can choose to continue on an on-going basis by paying $175 an hour to work in one or more hour increments ($325.00 per hour with notes). This is the time we delve more deeply into the character emotional development and, as time allows, work in the overall concept and thematic significance of your story. read any of my plot and scene books and/or watch any of my video programs. I’ve taken your course, of course, and found it enormously helpful. In fact, I take your course at conferences every chance I get. Thanks, Martha! I couldn’t do it without your help! — Penny Warner, award-winning mystery author of more than 50 books including The Official Nancy Drew Handbook and Dead Man’s Hand.